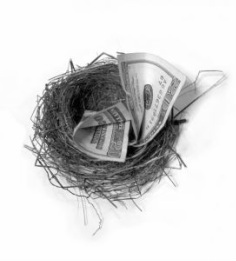 Are you protecting your nest egg? Tax issues and planning for death. Most of you think that this week will just be a lot of reading. Tax planning for the end of life is something that those of us who are younger tend to have further down our list. That doesn't mean it is less important, it just means we tend to ignore it until death becomes a more common part of our life. So we've provided some particular steps that you should do today, as well as some points you should be aware of, even if you ignore them for the time being. O - IRA’s- if you have one, you need to read the article “IRA common Mistakes” and then fix any of those problems with your IRA. These are all pretty quick things to review, so don’t delay! O - Life Insurance - Read 5 Reasons to Purchase an Indexed Universal Life Insurance Policy, paying particular attention to point #2. Life insurance is a great way to pass on tax free assets at death, as well as it being a great way to pay for taxes that are due upon death. O - Trusts- If you don’t have one, you probably should look at getting one. Read the attached article, “Trusts” for a brief overview to see if you might need to consult an attorney on the possibilities of a trust. O - If you have more questions on any of these, please call or e-mail us. We would be happy to explain more.